This sizzling citrine-colored CZ gem is showcased in its designer-inspired tooled setting. 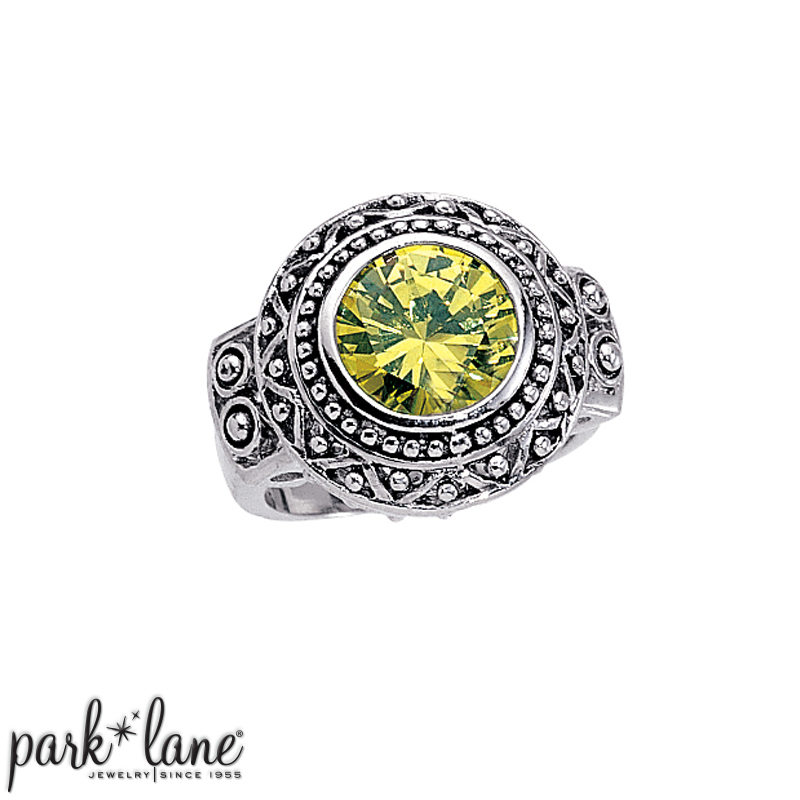 With sparkling color that moves from lemon yellow to lime green, Citrine ring delivers a "citrus punch!" Ring is available in sizes 6 to 10. Mix & match complements: A ring this outstanding doesn`t need to "match," however, it is especially flattering worn with these ensembles: Celedon, Enchanted, All That, Midori, Gems, Glamorous, Class Act, Center Stage, Canary Diamond. It`s a perfect accent to most two-tone jewelry as well.